Here are a few examples of the services we provide. Pulling a set of trains with 2 master coils loaded shot-gun. 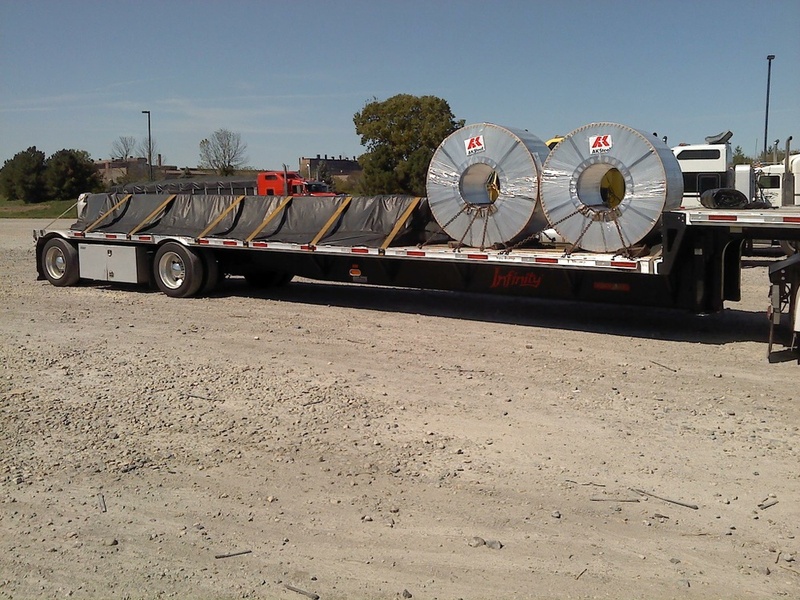 All of our trucks carry a full compliment of dunnage such as 4ft tarps, chains, straps, racks and much more in order to properly secure and protect our customers material. All of our trailers are 48ft long and can scale on average of 48,000 lb. Slide kits and rolling tarp setups make loading and unloading faster and easier. With more customers comes a higher demand of service. In order to meet the growing demands of the industry and provide top quality service we are always adding new trucks and trailers to the company.